Description: MUST GO ASAP! Offers accepted! 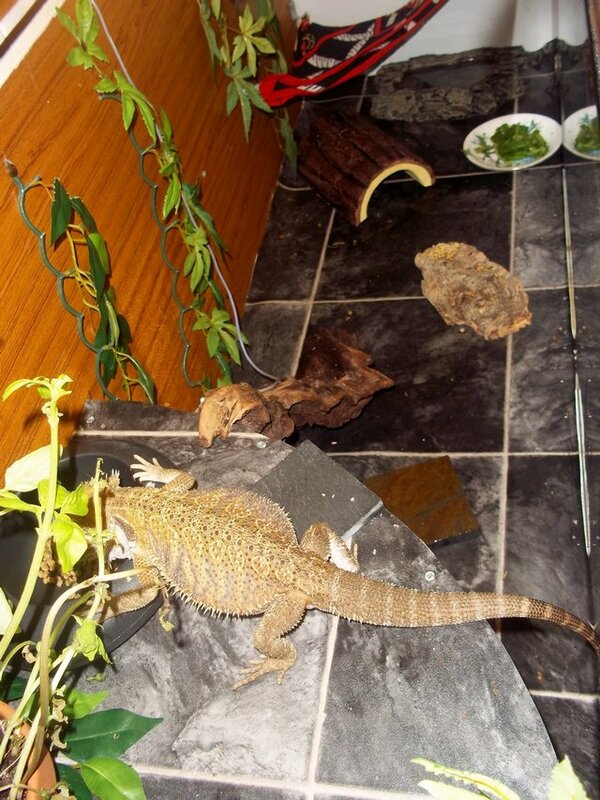 Citrus 2 year old male bearded dragon plus full set up for sale. Selling due to not having enough time for him with being in my last year of uni. He is a lovely little boy,called Hige who loves being handled and running around. He's been recently wormed (purely as a yearly precaution) and is in fantastic health. 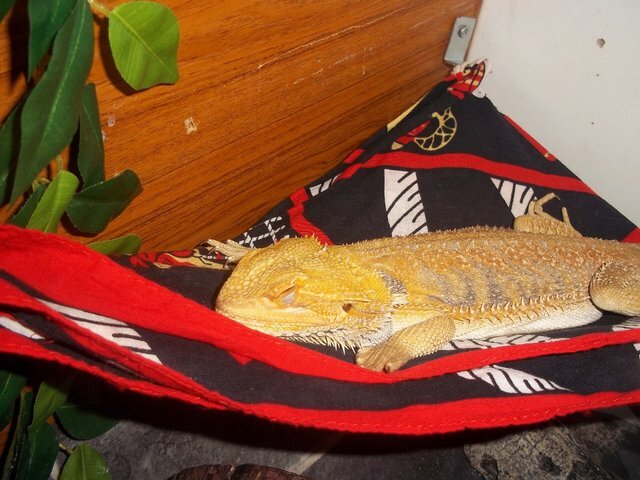 He is currently hibernating so would settle in well - he wouldn't even notice he'd moved! He loves his dubia roaches and comes with a colony of these. He also loves eating healthy greens such as wild rocket, lambs lettuce and basil as well as the occasional treat of spinach and strawberry. 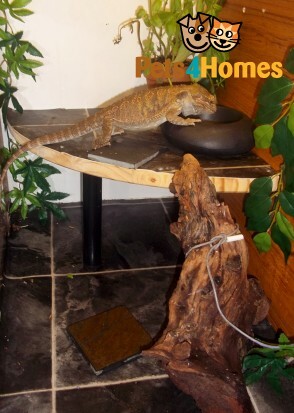 All of his greens are sprinkled with He also like some bearded dragon pellets once a week as a treat. vitamin/mineral powder and he comes with this too. 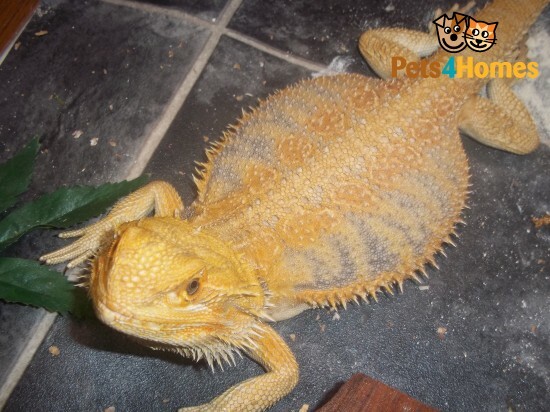 His colours are lovely and bright and he has bred in a previous home so is an ideal breeding project. He also loves going on a little walk and comes with his own home made leather harness. He is a fantastic little guy and will be sorely missed! I am also in the process of growing him his own greens and will come with a few tubs of these plants that will be ready for him to eat by spring. 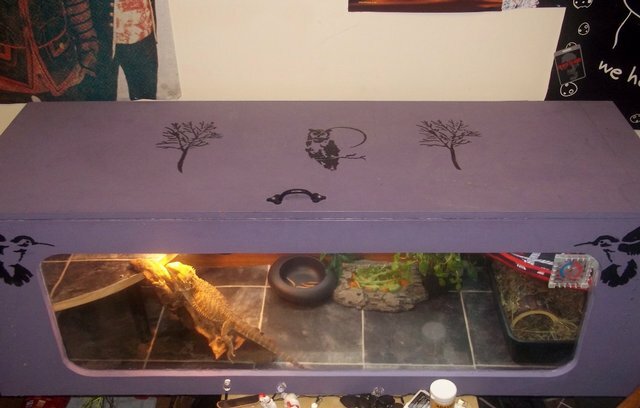 55" Long, 17.5" Wide and 18.5 Inches high custom, handmade vivarium. Hand painted in purple with black picture designs. 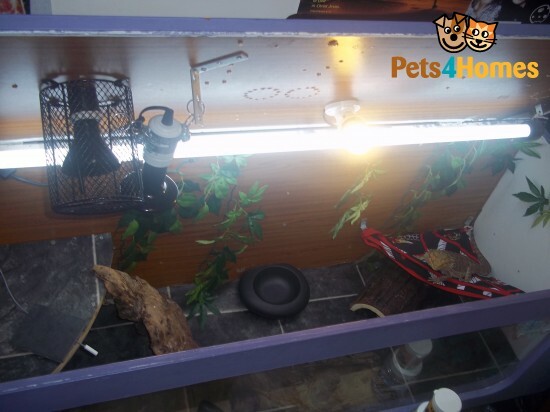 25w Ceramic bulb and 60w basking bulbs also included. Mature dubia roach colony with their own RUBs and food.